“A few years ago, on a radio talk show, the host was talking about the subject of prayer and cloistered nuns who were dedicated to prayer. The host could only think of one reason to pray: to beg God to change His mind when He was about to send evil on the world. The host thought for people who prayed, “Thy will be done,” this was a contradictory exercise. In one breath we pray, “Thy will be done,” and in the next, “Please don’t do this. Change your mind.” The radio commentator was using deadly logic. I cannot fault that. But his starting point was wrong. To presume that the only reason we pray is to get God to change his mind is nonsense. The lives of cloistered nuns are not spent coaxing God to send “goodies” to us instead of pain. The nuns are not professional beggars. The primary reason for prayer is to commune with God. 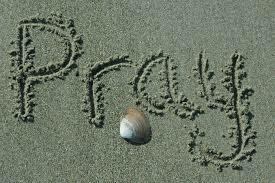 Just to be consciously with God is the reason for prayer. When we spend time with God, we fulfill and enrich ourselves. We become who we really are and who God wants us to be. The radio host had a cheap idea of prayer and a cheap attitude. It strikes me that we Catholics sometimes talk about prayer in such a way as though we are trying to get something God does not really want to give us. This gives a wrong impression about prayer. We speak of prayers that “really work.” It sounds so utilitarian; like magic. The graphic below shows a prayer, commonly referred to as the “Serenity Prayer,”* attributed to Karl Paul Reinhold Niebuhr and reportedly written in 1926. Niebuhr was a Lutheran pastor and theologian. After knowing only the first four lines of the prayer, which I learned in 1984, it wasn’t long before I became acquainted with the entire thing. Even though at the time I hadn’t made a decision to follow Christ, the words made sense. Years after that, I was reciting the whole prayer from memory at a weekly small group. For me, surrendering to God creates a serenity and peace I can’t otherwise know. *Usually Niebuhr’s Serenity Prayer is quoted using only the first four lines shown here. 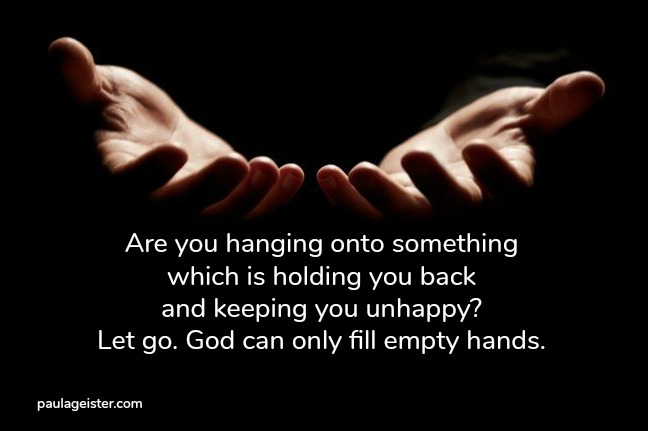 Heavenly Father, I’m holding on to something which I need to release to you. Give me strength to trust your love. I want to be free and receive your blessings and the only way to do it is to believe you will do what you promise. Give me peace about this decision because I’m fraught with fear of the unknown. I pray this for your glory and in Jesus’ name. Amen. 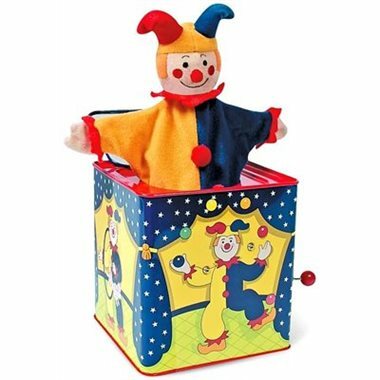 As I turned the little crank on my grandson’s jack-in-the-box, it played that familiar song. Like a little kid who had never played with such a toy, I was startled when the clown popped out of the lid. My daughter-in-law had been watching and laughed. “You always know he’s coming,” she said, “but somehow he always surprises you.” Yes, I had been caught, but I think it’s a natural thing. The little guy does seem to spring out of nowhere. But I guess that’s the point. Later, I considered how the enemy, Satan, works the same way. I’m just going along, when suddenly, I realize there’s something amiss. That haunting melody of lies is playing in my head and I feel out of sorts. Everything seems to be falling apart. I can’t concentrate when I pray. Even my best Christian friends are getting on my nerves. The pastor sounds like a drone. Oh…I get it…I’m under spiritual attack. The Bible says that we should be self-controlled and alert because our enemy the devil prowls around like a roaring lion looking for someone to devour. It’s possible for me to let my guard down with Satan taking full advantage of my lazy attitude. Sometimes by the time I recognize the culprit he’s already pounced, robbing me of joy and peace. Recognizing the lies means the difference between victory and defeat. Knowing the difference between his condemning voice and Holy Spirit conviction is the key. Those in Christ Jesus are no longer condemned but live under grace. God examines our hearts and we can turn to Him to discover the truth of any message we suspect may be a lie. We don’t need to go looking for the enemy under every rock, but we need to be aware of his schemes. If, indeed, we’re under attack, we stand firm and claim truth. We should also call on a trusted friend to stand with us in prayer. And there’s no substitute for wearing our spiritual armor. If the enemy is toying with you, like with the little clown who jumped up at me, slam down the lid and walk away. He just needs to be reminded that we know he’s a liar. He knows that he is powerless when we live in the power of Jesus Christ. 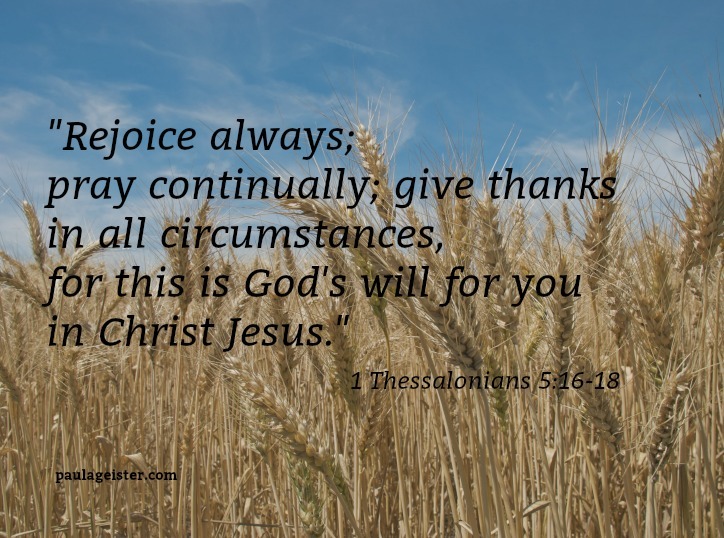 “Rejoice in the Lord always; again I will say, Rejoice. Let your reasonableness be known to everyone. The Lord is at hand; do not be anxious about anything, but in everything by prayer and supplication with thanksgiving let your requests be made known to God. And the peace of God, which surpasses all understanding, will guard your hearts and your minds in Christ Jesus” (Philippians 4:4-7; emphasis mine). Truthfully, the current patterns of the world are not worse than ever. Hard to believe, but it’s true. We are in no more danger sitting at home in our living rooms than the ancients were. There has always been war. We have always seen unrest in families. Children have always, unfortunately, been neglected or abused. Economies crash. People betray us. Loved ones die. Sin took its toll on Earth and we have never been the same. At one time, it got so bad that God flooded the earth and saved only one family. Believe me, this is not meant to be a gloomy article or a prophecy about what God has in mind for us if we don’t obey. Today I merely point these things out because they are the reality we have always lived in. However, for those who trust God in everything, we have hope. We also have peace because we know that, no matter how things look right now, keeping an eternal perspective presents the reality our Lord showed us. Are you struggling today with unrest in your family? Is someone sick or have a chronic illness? Does your financial situation look sick as well? Is a loved one fighting to defend freedom in a foreign country and you wait while they come home? Are you grieving? Whatever the situation, God will, if you ask, give you wisdom, strength to endure, and the knowledge you need to come through your struggle. You can be at peace when you understand how faithful he is. God “makes his sun rise on the evil and on the good, and sends rain on the just and the unjust” (Matthew 5:45). Even though he sends the rains, he has compassion on those who suffer. Because God has shown me mercy and because I finally acknowledge that, I can have compassion on people who, a few years ago, I would have shown indignation. I might have even been angry with them without knowing their individual circumstances. It’s a humbling thing for God to show me how arrogant I can be. Our struggles are temporary like everything else in the world. To keep this in mind also helps to endure and press on. Today, know that I’m praying for you. I don’t know your struggles, but God does, and he’s there for you when you call on him. 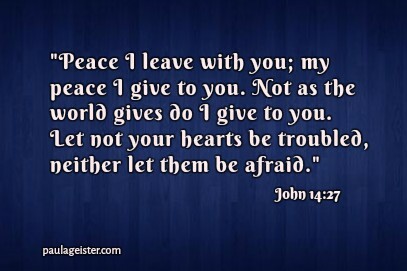 Heavenly Father, please help those reading this to know the peace which passes all understanding. Not a peace as the world gives through temporary things, but the peace which you give. Your love for us means you are faithful to provide, to still our hearts, to heal. Thank you for giving your Son, Jesus, who is our Savior and Friend. Amen. “But I tell you: Love your enemies and pray for those who persecute you, that you may be sons of your Father in heaven. He causes his sun to rise on the evil and the good, and sends rain on the righteous and the unrighteous” (Matthew 5:44-45). 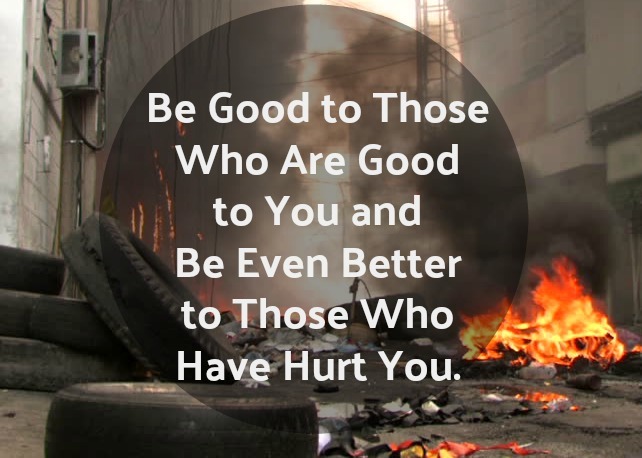 “Do not repay evil for evil. Be careful to do what is right in the eyes of everybody. If it is possible, as far as it depends on you, live at peace with everyone” (Romans 12:17-18). No matter how difficult it may seem to pray for someone who hurts us, it’s always the right thing to do. 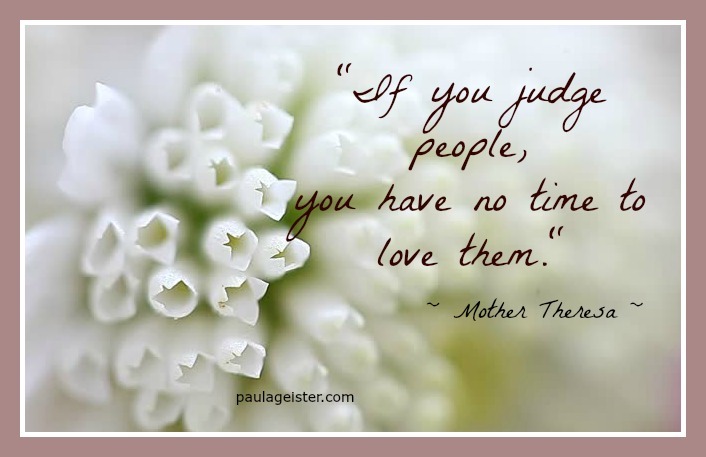 Slowly, my mind is changing about judgement calls on people based on their looks, their words and actions, or their attitudes. For a long time I’ve believed it was okay to take notice and immediately place someone in a category. The categories were, of course, arbitrary, based on personal preferences, what I’d been taught was ‘correct,’ and a solid belief that I was probably always right. What Changed? The Lord has shown me more of Himself. I see him interact with a variety of people in Bible stories and He never seems to judge the way I do. His judgements are true. Whether it’s a Samaritan woman sitting alone at a well, a group of Pharisees verbally abusing Him, a man sitting in a booth cheating his fellow Jews on their taxes, or a Centurion asking Jesus to heal his servant––the Lord sees what’s in their hearts. I can’t see into hearts. That could be me on any given day. God’s word gives instructions for when we discover what we name as their wrongdoing. The Apostle Paul makes another distinction. “What business is it of mine to judge those outside the church? Are you not to judge those inside? God will judge those outside” (1 Corinthians 5:12). In other words, how can we expect anyone who has not seen the Light, to behave as if they have. Again…That could be me on any given day. Nevertheless, as disciples of Jesus, we are given warnings and instructions about heeding the teachings and the fruit of those inside the Church. “Make a tree good and its fruit will be good, or make a tree bad and its fruit will be bad, for a tree is recognized by its fruit” (Matthew 12:33). Ultimately, I can never know the motives of one’s heart. Only Jesus knows that. Since life experiences, ill health, daily stress, and any number of things can make me ‘act out’ even when I know it’s inappropriate, I long for the grace of Jesus. And with the help of the Holy Spirit, I could offer that grace to others as well. To extend graciousness and kindness toward all. To pray for them as I would hope they would pray for me. I’ve discovered if we don’t first deal with whatever is in the former chapters of our lives and get over what’s hurting us (resentment, regrets, open wounds, and unforgiveness for example), real and meaningful progress in life doesn’t occur. Sounds nice, doesn’t it? I believe this so-called affirmation is true. But if, in my daily walk-about, I don’t treat everyone as the gift I believe they are, my words are hollow. Read about a man blind from birth in John 9:1-34. He wasn’t healed simply because Jesus put mud on his eyes. Jesus put the mud there; He did His part. Then Jesus told the man to go wash his eyes in a pool and he’d be healed. When the man acted on Jesus’s instructions, he went home with the gift of eyesight. A friend of mine used to say, “God feeds the birds, but He doesn’t throw the worms into their nests.” Quite often, we mustn’t be content to sit and wait for God to simply come through with our need. On the contrary, we’ll discover that there’s work for us to do which coincides with the work He’s already doing for us. 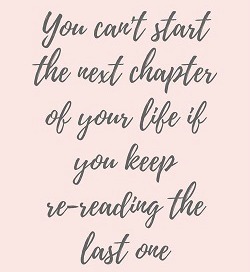 Go ahead and read your “last chapter.” Then ask God how He’d like you to deal with it. I’m guessing that for you, as it was for me, He’s expecting you to do something. Listen with humility to what He’s saying to you. And be a blessing to someone today.